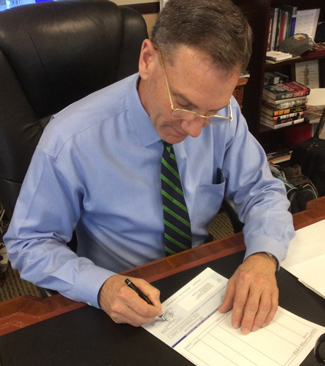 ROA Executive Director Jeff Phillips happily signs ROA department rebate checks. Currently 19 ROA departments around the country have completed the required paperwork and will be receiving money which they will use as they determine best helps them advance their objectives within ROA’s founding purpose. 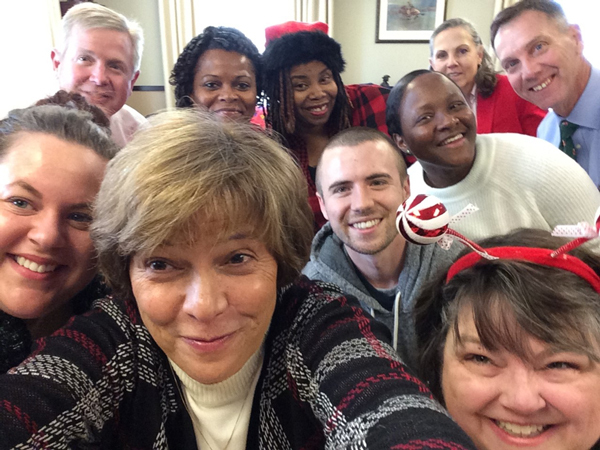 Before breaking for Christmas, ROA’s “little engine that could” staff celebrated the holiday season (before beginning to prepare the fiscal year 2019 annual draft budget). Your ROA team is proud to support your membership and ROA’s revitalized ability to support America’s reserve force. Thank you for your membership and your continued support! From left, Michelle Witkins, Top of the Hill manager; Lani Burnett, chief of staff; Diane Markham, director of membership and administration; Shane Moore, building maintenance; Ashika Grimes, receptionist; John Rothrock, director of legislative and military policy; Tracey Ware, member services and accounts receivable; Linda Cooper, office manager and accounts payable; Susan Lukas, Air Force director; and Jeff Phillips, executive director. This week the U.S. Congress passed a $1.5 trillion tax cut, which included the largest structural overhaul of the U.S. tax system since 1986. President Trump signed the legislation into law on 22 December 2017. The law, titled “Tax Cuts and Jobs Act” significantly cuts corporate and individual taxes and seeks to simply the tax code, although most individual tax provisions would expire after 2025. It reduces the corporate tax from 35% to 21% and reduces taxation of so-called "pass-through" businesses where profits are taxed at the individual rate. For corporate taxes it also establishes a "territorial" tax system that exempts most overseas income from U.S. taxation. Most individual tax rate rates would be reduced, including by dropping the top rate from 39.6% to 37%, and it eliminates personal exemptions but nearly doubles the standard deduction so fewer taxpayers will itemize deductions. 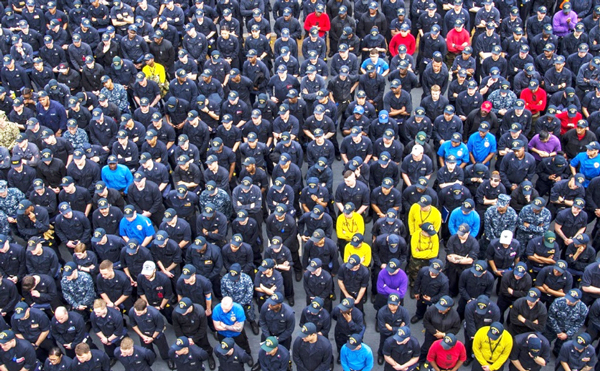 The chief of naval personnel announced via NAVADMIN 299/17 Dec. 19, the next iteration of Full Speed Ahead (FSA) training for 2018 that expands on existing efforts to prevent destructive behaviors across the fleet. Full Speed Ahead 2.0 (FSA 2.0) "Got Your 6" training continues the conversation on key themes from the 2017 FSA training and further reinforces expectations for appropriate social media conduct. 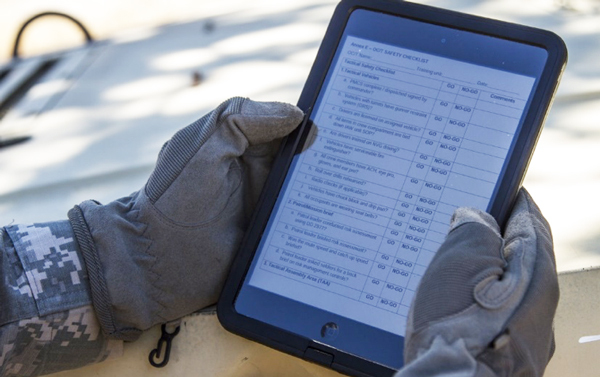 FSA 2.0 blends scenario-based videos with small group face-to-face, respectful and collaborative, discussions led by a single certified command facilitator (CF). 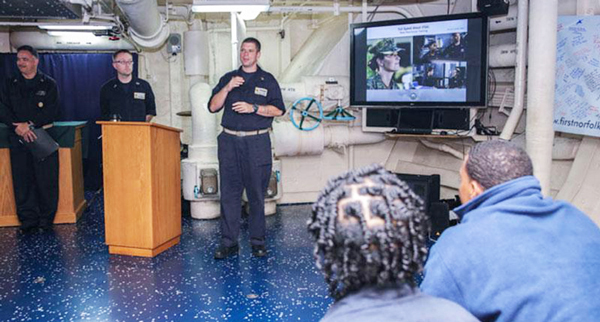 The training will challenge each Sailor to honestly assess personal, interpersonal and social media character and conduct and to identify specific opportunities for personal individual and organizational growth and betterment. 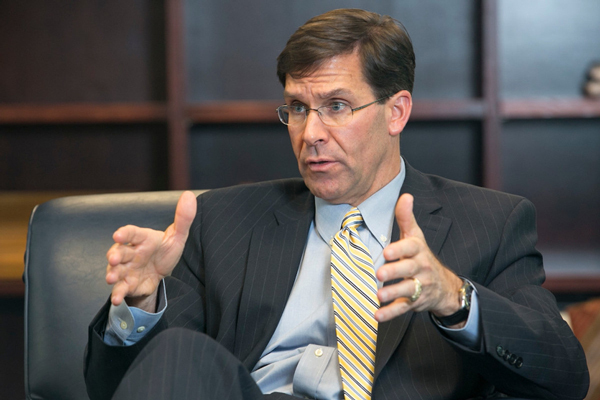 The Air Force Reserve recently updated their “Profiles in Leadership” display of 15 servicemembers in the Pentagon. Congratulations are extended to Lt. Col. John Marks, Lt. Col Steve Smith, and Staff Sgt. Julimar Fuentes who are all ROA members. READ HERE> for their accomplishments. 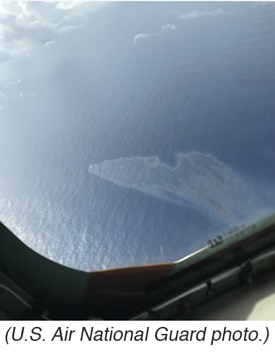 National Guard members who were deployed to Anderson Air Force Base, Guam quickly jumped into action for an impromptu search and rescue mission in the Western Pacific Ocean. The crew of the KC-135R air refueling aircraft were able to locate the wreckage and transmit it to the Coast Guard. Ultimately all the sailors survived the collision with another fishing boat. “We’re incredibly relieved these men are safe and back on dry land,” said Lt. Cmdr. Josh Empen, the search and rescue mission coordinator at Sector Guam. 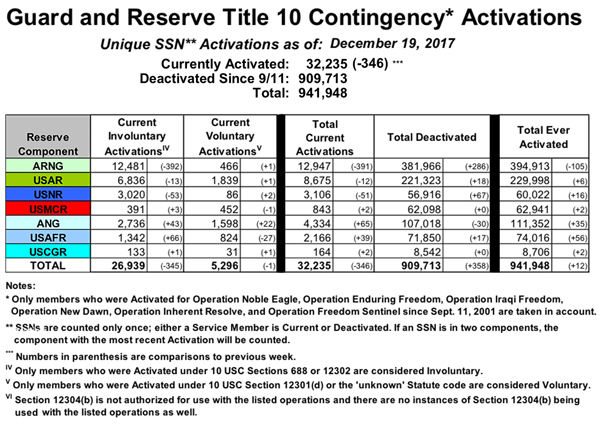 The attached news release provides a summary of the new Blended Retirement System with specific information for the nearly 1.6 million Service members who will have the option to remain in the current legacy high-3 retirement system or choose the BRS when the opt-in period for eligible service members opens on Jan. 1, 2018. 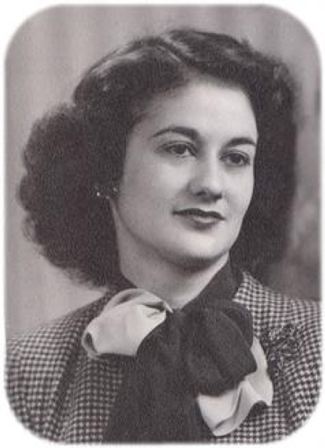 The document has a number of embedded links to resources that members and their families can use to find more information. 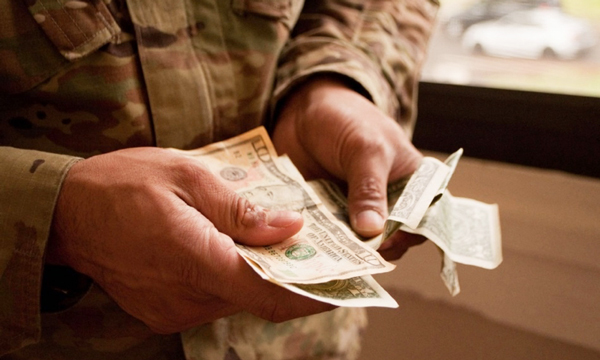 Also, a number of BRS Fact Sheets are available for download on our BRS resource webpage at: http://militarypay.defense.gov/BlendedRetirement/. Each BRS Fact Sheet is broken down into singular topics. And, the attached new comprehensive 31-page BRS Service Member Booklet is available online for download on the BRS resource website. Finally, on January 1st, all new entrants into the military will be required to complete the BRS new accessions course. Note that the course and all of its associated videos and materials is provided via three .zip files located on the BRS resource webpage. Note: this link will remain permanent in the future, even as the new TRICARE website goes online on January 2, so that this resource will always be available for those who want to stay abreast of changes to the benefit. Finally, most of you also know that there will be changes to the pharmacy copayment that will begin on February 1st. The Defense Health Agency has prepared the attached communications tool kit to explain those changes. Note that the attached document contains several embedded documents with detailed information. Please let me know if you have any difficulties opening the embedded documents and I will send them to you separately. 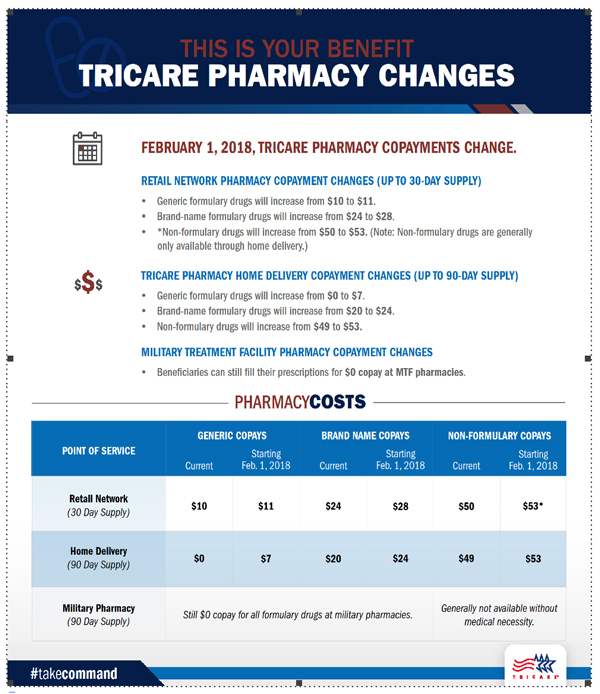 A complete list of current pharmacy copays and the February changes may be found on this webpage: https://tricare.mil/pharmacycosts. From Dec. 29 to Jan. 22, Exchange shoppers worldwide can enter the Mars and Wrigley Big Game Sweepstakes for a chance to win one of three big-screen TVs. Three lucky winners will receive the TV of their choice, valued at $4,500 or less. 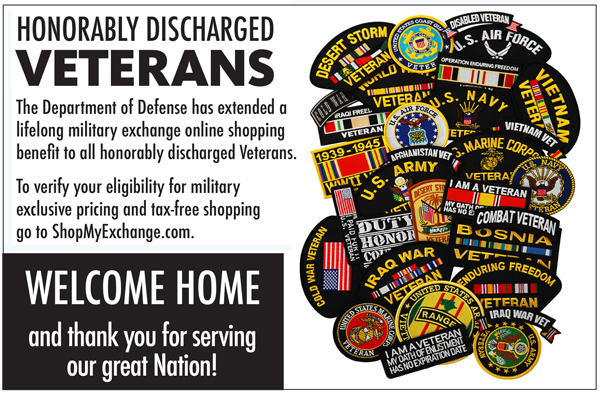 Veterans and shoppers not living near an Exchange who win the sweepstakes will receive a $4,500 Exchange gift card that can be used at ShopMyExchange.com. Authorized shoppers 18 and up may enter. To enter, visit ShopMyExchange.com/sweepstakes. No purchase is necessary to enter or win. Winners will be drawn on or about Jan. 29.